In majority of shops product can not be edited after it has been added to cart. In order to change the size attribute you should remove current product from cart, then go back to product page, select the correct size and then add it back to cart. 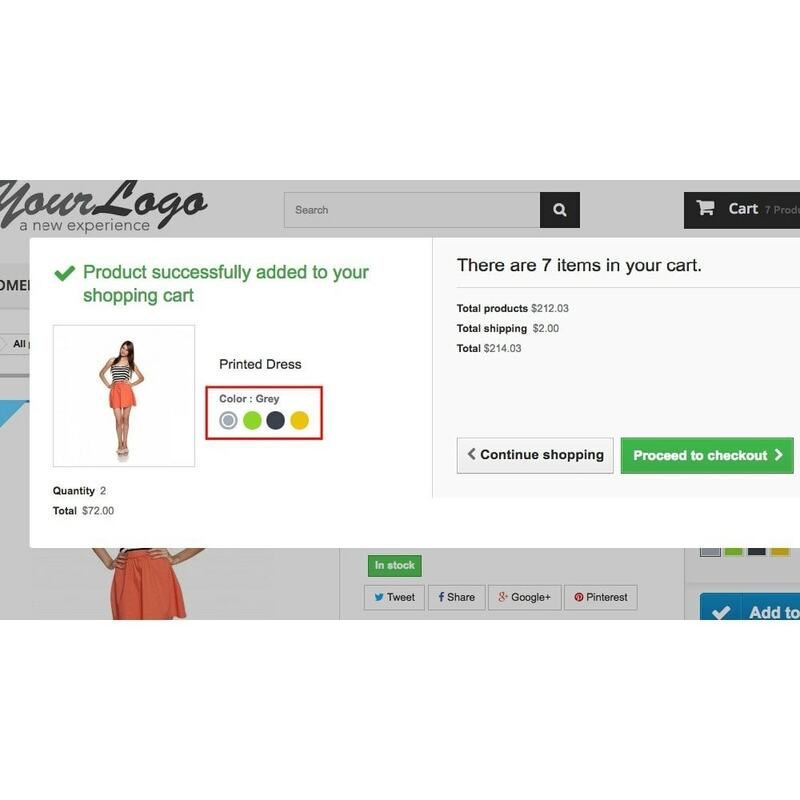 With this module your customers can easily change size/color or any other attributes for products in cart. Updates are applied instantly, without leaving cart and in most cases without reloading page. Dynamic attributes can be displayed in cart popup and in order summary page. You can choose one of two views for attributes: “compact view” and “full view”. In compact view all attributes are displayed as drop-down lists in line with labels. In full view attributes are displayed as defined in their settings: radio boxes, drop-down lists, or color selectors. 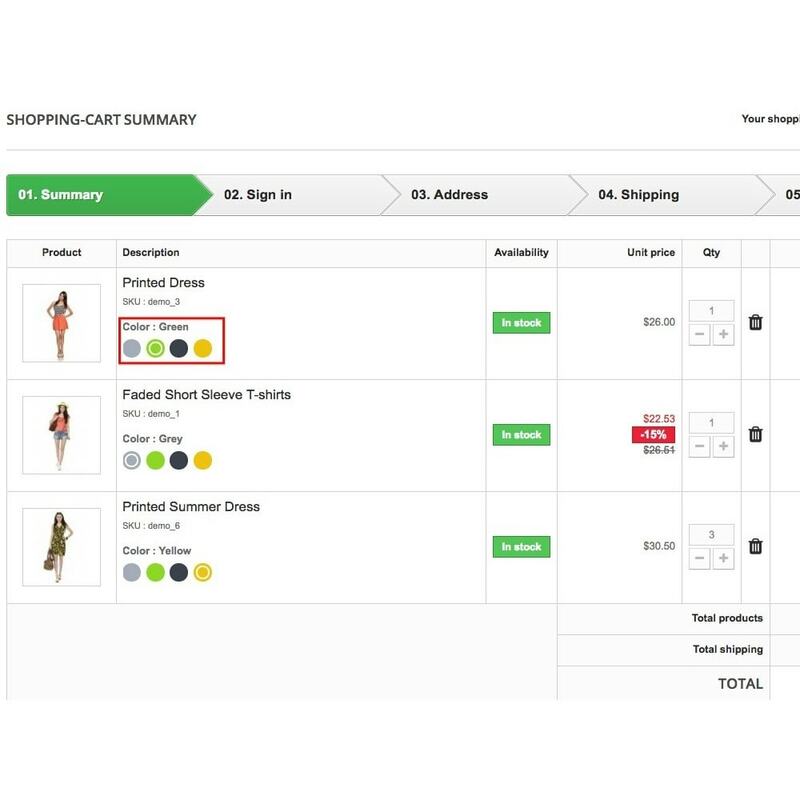 Customers can easily update product attributes directly in cart. Well. Where should I begin with? - Support is fantastic! I limited by Prestashop to say how fantastic it is. FFS, I had problems with other modules and these GUYS sort it out. OTHER MODULES BUGS? Do you know how hard it is to repair other thing that you have not made in the first place? 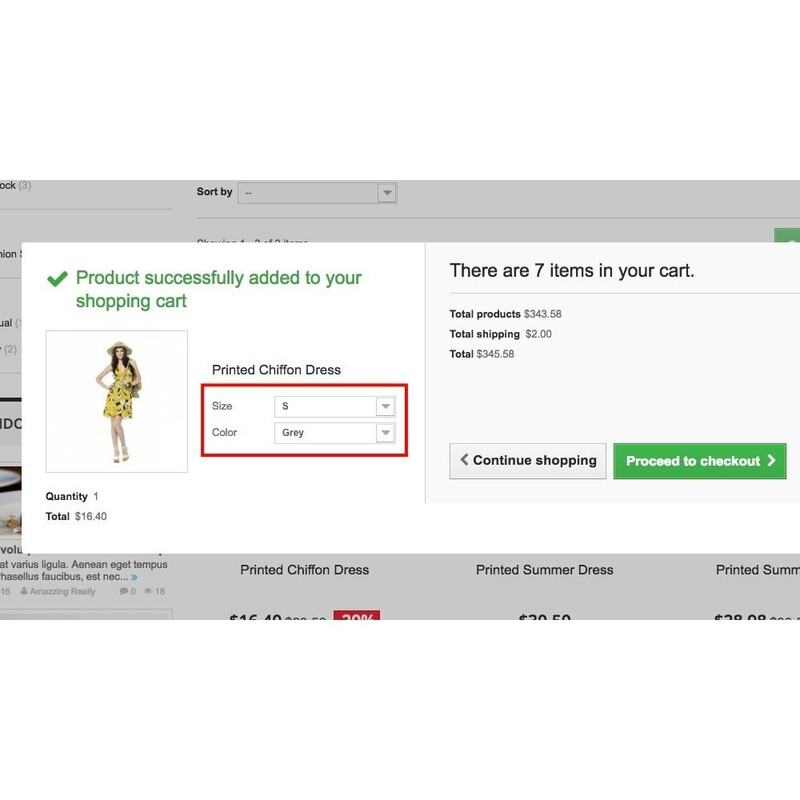 - The "little" thing that let's you modify attributes in cart is in fact a big thing. Makes the customer aware of what he selected without emptying the cart to redo all the process. With a simple click, the customer updates his order without having even a small chance of mind change. Yes, I would totally buy everything these guys have to offer! They simplify things and I don't think they are just for the money, I think they are first customers, then coders. They build something they would like to have in their own process of buying stuff. GOOD JOB! 10 STARS, not 5 as Prestashop offers!